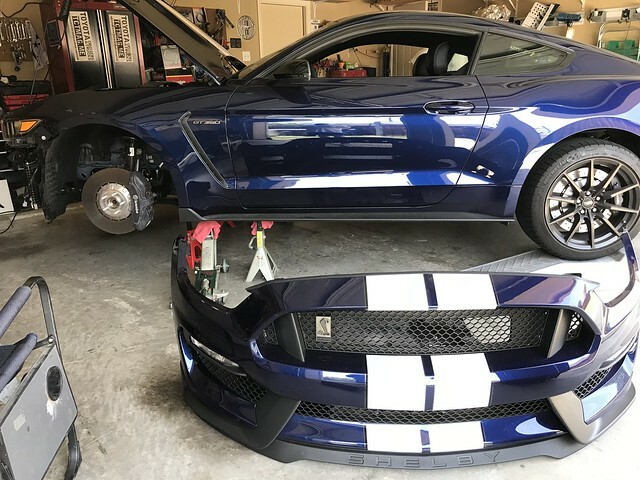 Discussion in 'GT350 and S550 Technical Forum' started by JeffV8, May 29, 2018. I have a 2017 GT PP 6 spd and went with Blowfish Racing. I posted pictures in my thread “S550 HPDE Prep - Need advice”. Pics and discussion in page 4. Sorry, I don’t know how to link directly to it. I haven’t had to use the tow hook yet, but I think it looks good and seems to be well made. Note: I do plan to add a tow hook of some sort to the rear of the car. You might cringe at this, but I’m considering installing a hitch receiver and just inserting a tow ring in that. Everything else I’ve looked at requires some type of change to the bumper cover or reverse light that I don’t want to make. u00mem9, TymeSlayer and VoodooBoss like this. I had the ZL1 front tow hook and unfortunately I can confirm it works fine. 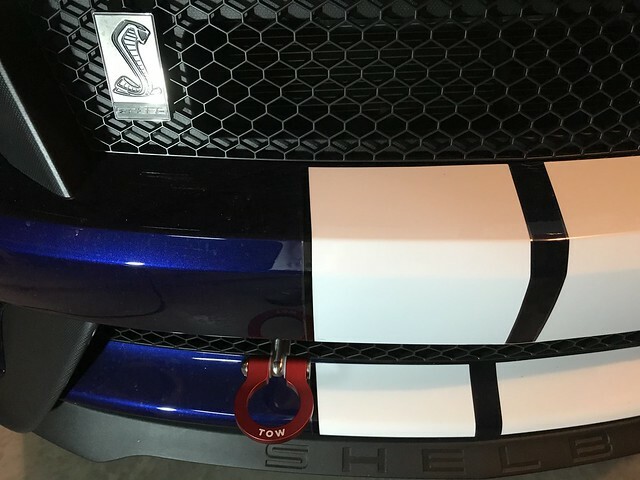 I like the way Steve @Blowfish designed his tow hooks but he never made one for a GT350 so I went with the ZL1 instead. I went with the ZL1 center mount. It looks great, but drilling through the bumper takes some time. HR692, VoodooBoss and JeffV8 like this. Yeah I also saw that the Blowfish one can't be used with the 350's. Is it simply the size and shape of the crash beam? Could the bracket be modified, or do we know if they're planning on releasing a GT350/R specific one? I don’t think he has any immediate plans to make one for the GT350. The air deflectors for the radiator are part of the problem. Just did mine Wednesday. I waited so I could do 3 items at once. I put on a blowfish tow hook. I'm going to be installing this one this weekend. Anything in particular I should look out for? Be very careful with the side clips where the bumper mates up with the fender. They break and then the two pieces won't match up smoothly. Also the bolt that keeps the two pieces together is a PITA. Small hands with a small 1/4" drive ratchet are the ticket there. Just be patient with everything and keep the two million little plastic pins in a container. I recommend completely removing the inner fender liners. It will be much easier in the long run. ChopSui and JeffV8 like this. What Rick said. I removed my fender wells. Just push pins. I have the blowfish one and it looks and works great. Of course my car is a simple GTPP, though. Is there any downside to doing this on a dual purpose car? Thinking of water/dirt getting into places it shouldn't be? I just love finding stuff to take off this car! My car is dual purpose and when I removed them I got to clean out all the little pebbles that were there. You still put them back on. Mine is also. I kept my splitter on which made it heavier to handle. The install process for the ZL1 was certainly an adventure. Installed it this past Saturday. TymeSlayer, ChopSui, VoodooBoss and 1 other person like this. Jake O'Donnell, locknload and VoodooBoss like this.